Today: Everyone has a gin story. Yours is about to get better. Every person who doesn’t like gin has a gin story. One time you drank gin martinis and got sick; one time you were drinking gimlets and you got into a bar fight; you drank gin and tonics and had the worst hangover you’ve ever had. Even with the gin renaissance in full swing, there are still people who are convinced that they simply don’t like it. If you happen to know someone like this, and you want to hold a kind of reverse intervention -- which you should -- then the Aviation is the gateway cocktail you’re going to need. The Aviation first appeared in print in the 1916 bar manual Recipes for Mixed Drinks by Hugo Ensslin, though the origin of the drink likely goes back even further. Aviating was all the rage in America at the time, and that, along with the drink's striking color and flavor, combined to make the Aviation one of the most popular cocktails of the era. 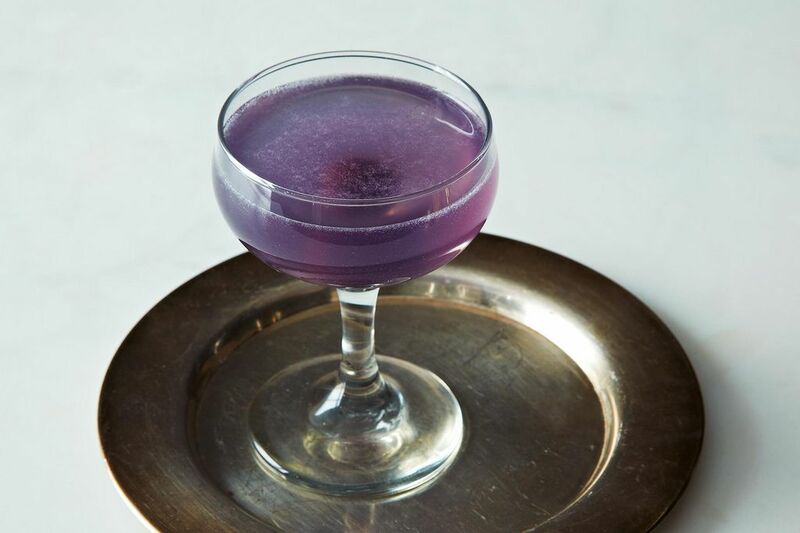 Sadly, Prohibition destroyed the availability of two essential ingredients in this once-forgotten beauty: crème de violette and maraschino liqueur. Thanks to mustachioed cocktail nerds across the land (or rather, thanks to the renewed interest that they signify), both are readily available today. More: Looking for another classic? Try Erik's version of a Blood and Sand. Rothman & Winter makes a good crème de violette, but be wary -- it's intense, and using too much can turn a drink into grandma’s perfume. The Bitter Truth also makes an excellent, if pricier, version. Use a gin with some good citrus to it, like Plymouth or Martin Miller's. The ratios in this cocktail are a little different than what you’re probably used to. 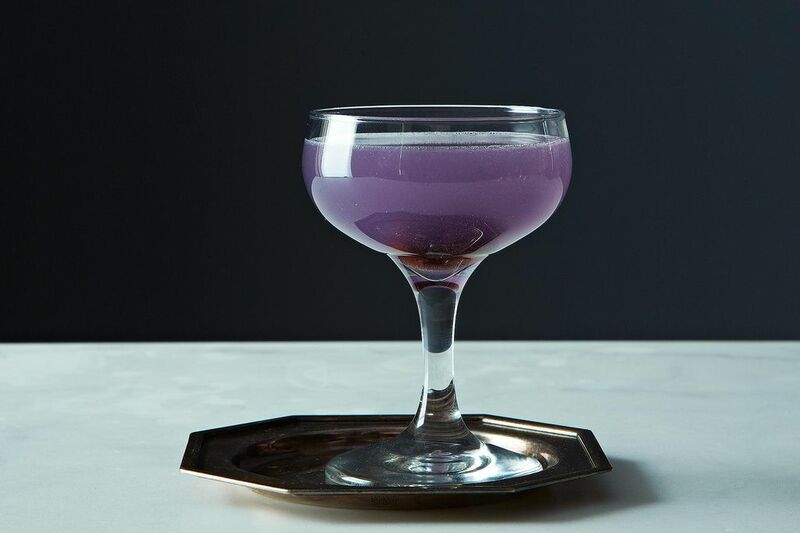 (Different recipes have ever-varying amounts of maraschino and violette; depending on where you order the drink, you may not even recognize it.) I like to go the egalitarian route by taking the basic recipe for a sour and replacing the sugar with equal parts maraschino and violette. This requires you to fill a 3/4 ounce jigger halfway with maraschino then top it up with violette. See the recipe for how I do this -- and bear with me, it'll be worth it. I LOVE Water Lily! Looking forward to trying an Aviation! Does anyone have any other cocktail suggestions with creme de violette? I made this cocktail. PERFECTION. However, why is the one pictured SO saturated in purple hue? Mine are always very subtle purple/blue. Dunno actually, mine usually come out a lot lighter than that, I think it was just the lighting that day! One of my all-time favorite cocktails. I particularly love it with Aviation gin. We refer to that time as the Gin-cident. That said, I've lately come to embrace the Aviation. One, just one. Love creme de violet, had a bottle in my cubard for years, and more recently a bottle of Luxardo Maraschino Cherry liquor, I guess I need to replace both now. I love Creme de Violette. Easily my favorite cocktail and very popular in my town (the home of Aviation). Most of the good bars serve aviation or a twist on the aviation. I recently discovered pond water--which has lime instead of lemon.